Why go? For sensational mountain landscapes and wildlife spotting, delicious food from fine dining to street, plus vintage shops, cool bars and a lively cosmopolitan scene. When? If you like warmth and beaches visit in summer (July to September), while the best months for skiing are February and March. Or book now for next May, which is a great time of year as the sun’s out but there’s still snow on the mountain tops – and it’s more affordable. You really must… If you have a head for heights a walk across the 450ft Capilano Suspension Bridge (capbridge.com) should make you feel at one with the world. Set 230ft above the Capilano River, it’s part of a park just ten minutes’ drive from downtown Vancouver with treetop walks and amazing views of rainforest, mountains and rivers. If you’re feeling super-Action Girl, try the newly opened Cliffwalk, a wooden walkway built on the edge of a granite cliff – at some points glass is all that separates you from the canyon below! Vancouver is easy to explore – for a fashion fix head to Gastown (gastown.org), which is near the waterfront, and Yaletown (yaletowninfo.com) in the city’s renovated warehouse district. Stores to make a beeline for include Two One Two (twoonetwo.net), One of a Few (oneofafew.com) and Global Atomic Designs (globalatomic.com). 60 miles south, Victoria is the capital of British Columbia with engaging museums, historic buildings and the mildest climate in Canada. It’s a place to wander around with plenty of chances to pop into organic coffee shops and relax by the waterfront. There’s rewarding shopping too – don’t miss De Mode en Vogue (demodeenvogue.com). 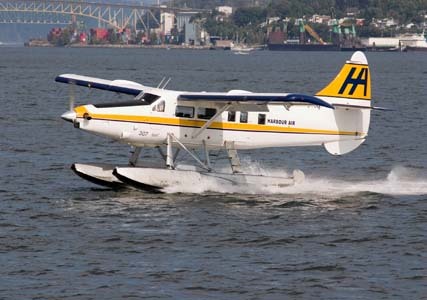 The fun way to get here is by seaplane (harbourairgroup.com), or you can catch a ferry (bcferries.com). Be sure to go whalewatching in a zodiac with Prince of Whales (princeofwhales.com) – an exhilarating and educational experience. On my afternoon trip we saw several different pods of killer whales and learnt about their relationships. 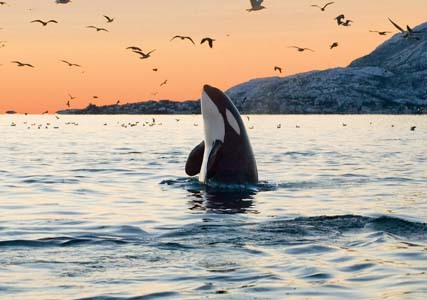 Did you know killer whales have a “super pod” every year where all the various families arrive back in the area to say hello and see who’s made it? Stay at: Rosewood Hotel Georgia (rosewoodhotelgeorgia.com, doubles from £285) is a pampering five-star hotel in downtown Vancouver with 155 rooms and an engaging collection of Canadian art in the lobby and top class Hawksworth restaurant. There’s also a spa and a complimentary Bentley to take guests around town, while the Hotel Georgia cocktail, born in the 1940s, is a reviving mix of gin, syrup, egg white, lemon juice and orange blossom water topped with nutmeg… In Victoria, the four-star Delta Victoria Ocean Pointe Resort and Spa (deltavictoria.com, from £123) is on the waterfront with 240 contemporary rooms plus a spa and pool. Dine at: In Vancouver, book the World’s Best Street Eats Tour (foodietours.ca) which hops from one food cart to another travelling from country to country. It’s a great way to discover downtown Vancouver while tucking into everything from Japanese-style hot dogs to organic burgers and hot smoked wild salmon. At the other end of the scale, The Observatory (grousemountain.com) is a lofty, dinner-only restaurant set on the top floor of Grouse Mountain’s Peak Chalet that serves West Coast cuisine mixed with terrific views over Vancouver. It’s a 20 minute drive from downtown with a Skyride gondola taking visitors to the top. In Victoria, Barb’s Place (barbsplace.ca) at Fisherman’s Wharf, in the Inner Harbour, serves fish and chips BC-style. It’s also worth checking out the local wines – take a tour of the Cherry Point Estate (cherrypointestatewines.com) in the Cowichan Valley, while Merridale Ciderworks (merridalecider.com) offers cellar visits, tastings, orchard strolls and spa treatments. Bring home: Maple syrup, organic wine and cider, vintage finds and a new love for nature. Book now: Virgin Atlantic (virginatlantic.com) flies direct from London Heathrow to Vancouver from £852 return, or enjoy the nearly ten-hour flight in the perk-filled comfort of Upper Class, from £2,979 return. 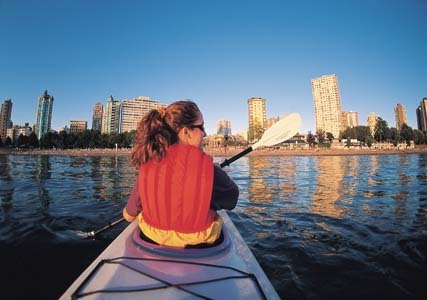 A five-night package visiting Vancouver and Victoria costs from £1,279 per person, based on two sharing, including flights plus three nights at Rosewood Hotel Georgia and two at Delta Victoria Ocean Pointe Resort. Book through Virgin Holidays (0844 557 3859; virginholidays.co.uk), or visit one of over a hundred travel shops located in Debenhams and House of Fraser stores nationwide. Info: DK Eyewitness Top 10: Vancouver & Victoria (£7.99, Dorling Kindersley) is a compact guide, useful websites are hellobc.com, tourismvancouver.com and tourismvictoria.com.